Web development is not all about code, but the elegance of security and functionality matters. Mobile App is the best communicating platform that provides real time experience to the end users through smart gadgets. A UI without UX resemble a painter slapping paint onto canvas without thought; while UX without UI resemble the casing of a model with no paper mache on it. An incredible product experience start with UX followed by UI. Both are important for the product success. 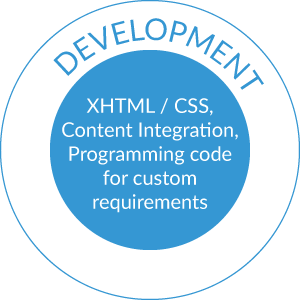 With our experienced developers, we ensure simplified coding for an efficient functioning of the application. Simple navigation and top class security is the magical formula. we followed the latest trend and technology for all web application development. We design standout Mobile Apps on iOS and Android. The Mobile UI design is the real game changer in a way it might be a user delight or user dismay depending on its presence. We develop native iOS, Android and Phonegap mobile application. Its a process to get index your website and to rank it among the Top position of search engines with respect to their target keywords. It also helps to increase traffic, visitors, leads and sales to your website locally or globally as per client’s requirement. 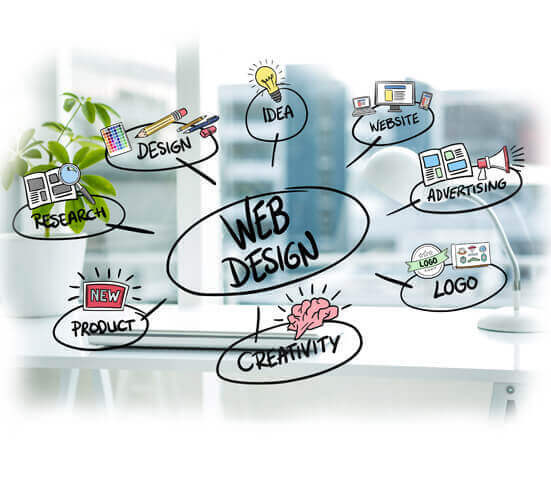 Digital4design’s team of enthusiastic, passionate and talented developers has turned it into one of fastest growing website design companies in Florida. Our mandate is to deliver you a first-class website, at a reasonable cost and with excellent customer service. We have a team of Digital marketing experts who helps you to build huge of traffic, visitors, leads and sales to client’s business. Apart of that, we do provide local and global SEO services to clients to improve their website’s performance and to get rank it the top of search engines with respect to their target keywords. 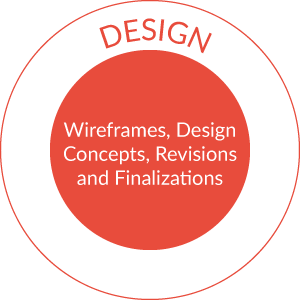 Digital4design can assist you with the full suite of services you require to launch your next website or web app. Whether that includes, web design, digital marketing and SEO or web development – we’ve got you covered! What’s more, we understand that a website is not just about what it looks like, but how it functions and the experience it creates for the end-user. By putting the user at the heart of everything we produce, we’re confident we can produce a website or web app that people will love. 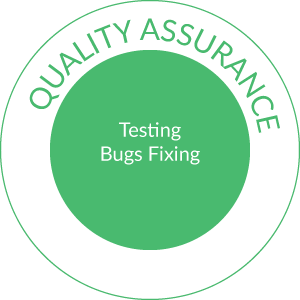 We do believe in quality and had setup quality standards for our clients to satisfy them. It would be great, if you could just give us a chance to work with you. Whether you are planning to design or develop your website or want to target locally or globally or need a mobile app, do let us know. We will be happy to do it for you. Wherever you are in the world, get in touch with us and we’ll help plan, design, develop and launch your dream into a reality! Very well done, responded to any question that came up and was extremely helpful throughout the whole process. It was great working with Mukul and his team. They are easily accessible and adapt all their work exactly to your wishes! I will definitely work together with them again! Job done on time. They seem to be there 24h for you, it’s almost annoying. perfect! This guy is simply amazing. He was patient in getting my problem solved. I was so surprised and happy when he got it fixed. I will be looking for this guy to do ALL my work from now. I suggest everyone should do the same. Money well spent. Kudos Sir, Much respect! It was great working with the team they were fast effective and professional. Will definitely hire again. Great team of designers and Mukul is a great and highly dedicated project manager. Contractor was really skilled and worked quickly to complete job. Team was very flexible as well. Awesome team. Did great job in completing the design. Every thing was delivered on time. Will hire again! Thanks Mukul Singh and team for helping me out with a challenging woocommerce product page and header customization for wordpress for a very reasonable rate. I was really impressed as he made sure he double checked the requirements before starting, stuck with the quote he gave me even though it was more complicated than expected, and kept checking in to make sure he was on the right track. The end result was exactly what I wanted. If you’re looking to outsource some customization or even full websites he is more than capable! Web designing and web marketing gets a fantastic visibility when the web content is authentic and creates good space to achieve its market value. Public would be able to know about the things what your brand provides and is it successfully meeting with their requirements or not. Branding is not mere colors and fonts, its more about creative representation. Our cutting edge professionals will design art that speak for your brand and strengthen your position in the online market. Logo is not just a simple image or fonts and colors, but it is a brand reflection. Every single pixel matters in a logo design. At Digital4design, we have expert logo designers who are imaginative, creative and impressive with their work. They design a perfect blend for font, colours and images to bring the best output to portray powerful message about a brand. Logo design is an important part of brand initiation. Logos are meant to represent company brands or corporate identities and foster their immediate customer recognition. Social Media is a huge networking platform with viral probability. Marketing prospect should be powerful enough to touch the audience attention. Development of smart phone has increase the use of social media platform around the world. We design complementary profiles and covers for Facebook, Twitter, Google+, LinkedIn and other social media . 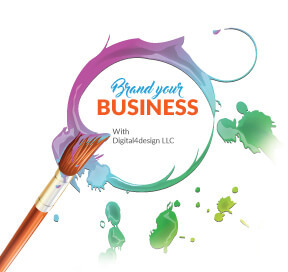 Use of your company’s traditional logo or a variation of its design for each of your social profile pictures to maintain online brand recognition. Fonts, colors and images are the primary visual elements that determine how people perceive your brand on social media. Digital4design possess experienced graphic designers who are versed with capabilities to work on vertical range of tools such as Adobe illustrator, Photoshop and Corel Draw. We develop the overall layout and production design for various applications such as for advertisements, brochures, magazines, and corporate reports. We combine art and technology to communicate ideas through images and the layout of websites and printed pages. They may use a variety of design elements to achieve artistic or decorative effects.It is also important to marketing and selling products. We follow the latest trend of designing. Digital4design handles the technical infographic design with ease. 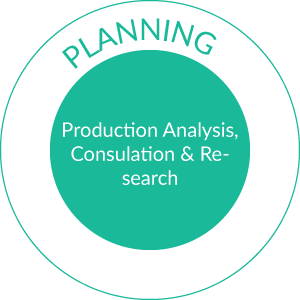 We handle all the case studies and their developments that are research oriented. Be it technical or a concept oriented work, our team of designers are exceptional with their research methods to deliver the desired output. Now a days several startup and small business are opting for CMS development. It is cost effective and best solution for a customer to create, edit and delete the content in a easy way. CMS provide quick and easy installation & customizations and simple admin interface, several different plugin for extra functionality. Top five CMS are WordPress , Drupal, Magento, Radiant and Joomla. PHP is server side scripting language design for web development and widely use by customer for web development and application development. 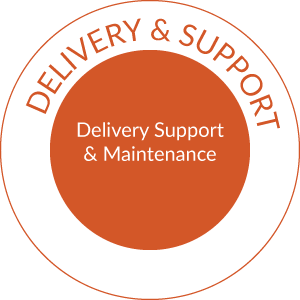 As it is open source solution and available in free therefore it save considerable amount of time and money. It is independent platform therefore application can run across all the browser and operating system. Major Framework of PHP are CodeIgniter, Cake PHP, YII, Zend , Laravel and Symfony.